Shopping for the animal lover in your life? - What better gift for your family and friends than a specialty DVD from The EPCo Group? These discs are a compilation of footage we have amassed over the years, together in entertaining, fun-for-the-whole family videos! The long-awaited follow-up to the wildly popular original, this action-packed DVD highlights some of our favorite falls from the 1990's, and includes riders of all skill and showing levels. 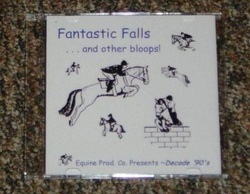 No horses or riders were seriously injured in any of the falls featured. Run time is approximately 30 minutes. $30 each. 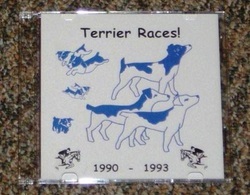 This hilarious DVD features footage of the famous Terrier Races from the Washington International Horse Show, specifically from 1990 through 1993. Your whole family is sure to be delighted by the athleticism and antics of these furry friends - Who knows, you might even see a familiar face! Run time is approximately 20 minutes. $30 each. Can't decide? Get both! The FF/TR Combo is only $50! Please call our office to order - 609-654-8933, or email us @ epcogroup@verizon.net.